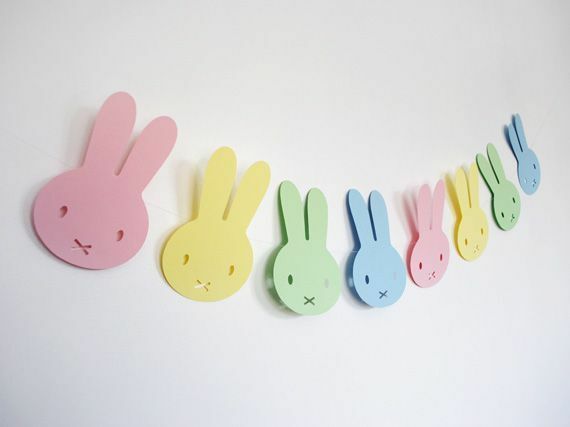 This excellent Easter bunny garland is an excellent way to brighten up your kitchen wall, or the walls over your children’s beds! Basically just a simple “snow angel” type design made with colored construction paper and scissors. It’s a simple, but very cheerful and effective, design.